The "old school" is back in session with a few new lessons with Eschalon: Book 1, a great new indie computer RPG from Basilisk Games. Waking up in a desolate ghost-town in a land in the midst of war, you find yourself lacking any memories of your own identity or knowledge of the current turmoil. Relying upon notes from an unknown benefactor, you discover that your amnesia and circumstances may not only be no accident, but that you yourself may have been responsible. But for what purpose? Your quest for answers will take you across the land, down into the deepest dungeons, and against fierce foes in this classic-style fantasy RPG. 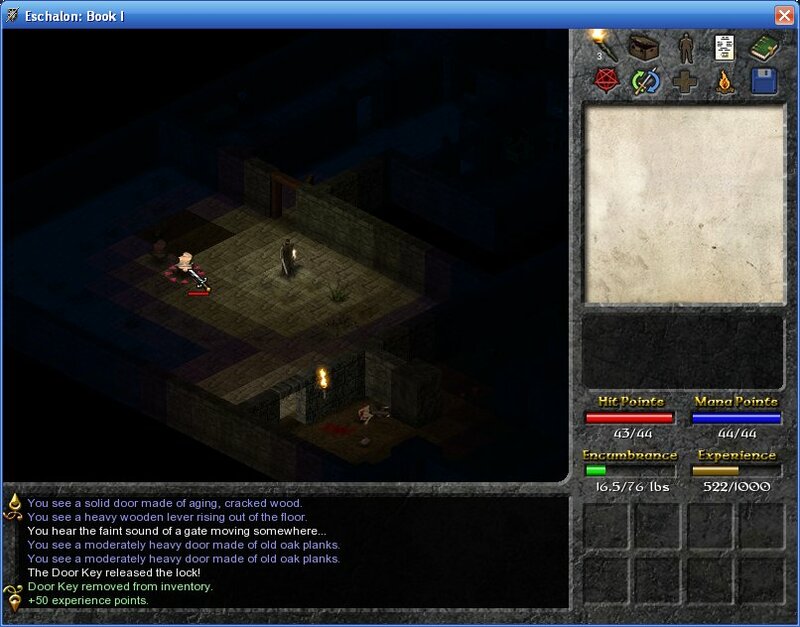 Eschalon: Book 1 features turn-based combat, beautiful isometric tile-based graphics, a deep and involving non-linear storyline, tons of sub-quests, an elaborate skill system, hundreds of items, dozens of monsters, and many, many hours of good, solid fun. 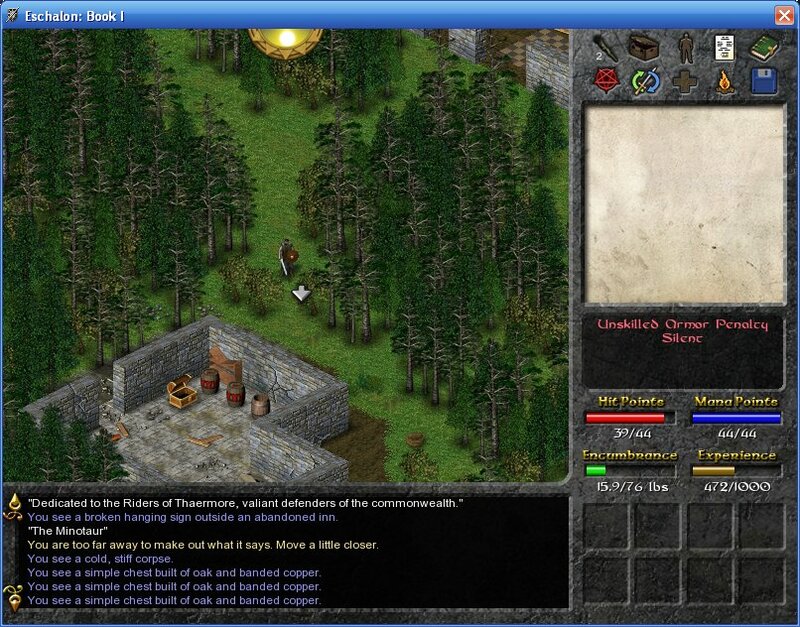 Unapologetically turn-based and tactical in its combat system, the designer invokes legendary series such as Wizardry, Ultima, and Might & Magic as influences. 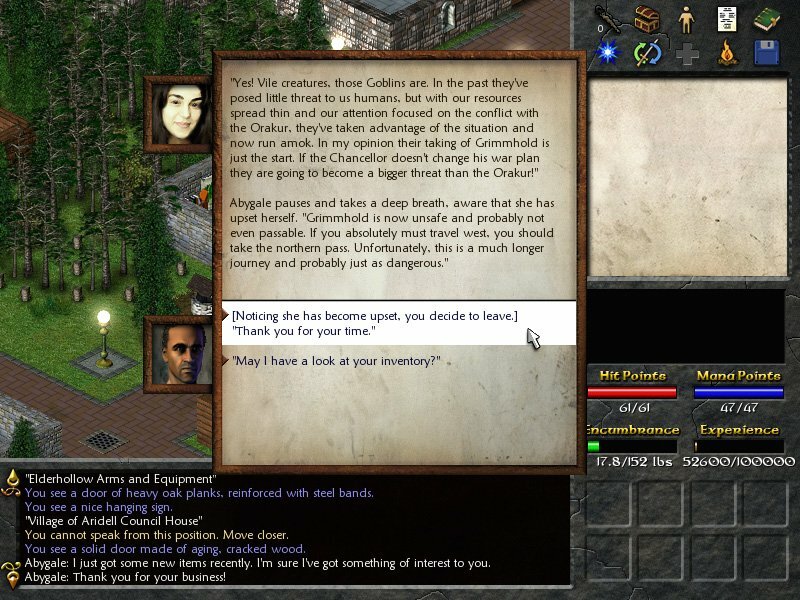 But this is no mere nostalgic excursion - Eschalon: Book 1 combines the "old-school" sensibilities of the great computer RPGs of the 1990s with the demands of modern audiences. This is a sharp, polished game with attention to detail that shows just what an indie RPG can do today. Download the free demo for Eschalon: Book 1 tonight and try it out, and get ready for some meaty adventuring! And don't worry - demo saved games work just fine in the full version. Unlimited Game-play to new levels of power! Estimated 20+ hours of play for the main quest, and another 20 hours in sub-quests. * Downloaded version only. Also available on CD-ROM.